Pharma Franchise for the Cities of Chhattisgarh- Aden Healthcare, the leading pharmaceutical company of India, is on the mission to deliver the better tomorrow to the people of Chhattisgarh. According to a survey, it comes forward that the medical healthcare condition in Chhattisgarh inadequate in the rural areas. There is a vast demand for OTC medicines, antiviral medicines, cardiac diabetic medicine, anti-allergic, anti-cold medicines and many other medications in the cities of Chhattisgarh. Therefore we, Aden Healthcare introduces the Pharma Franchise for the Cities of Chhattisgarh to meet the demand for medications. Aden Healthcare is a team of highly professional, experienced and talented medical personalities. They all work with the full hard work and contribute their complete dedication in formulating the best quality medications for the people of Chhattisgarh India. Here at Aden Healthcare manufacturing plant, every medication formulates as per the international norms and guidelines of GMP and WHO standards. We are specialized in formulating the DCGI approved products. Therefore we count in the leading Pharma Franchise for the Cities of Chhattisgarh. As being the leading manufacturer and supplier of India, we are quite popular in the pharma market of Chhattisgarh. We are inviting the professionals and newcomers who are looking forward either to grow their roots more deeply in the pharma franchise business or looking, to begin with, the PCD Pharma Franchise in Chattisgarh. So here is the opportunity. 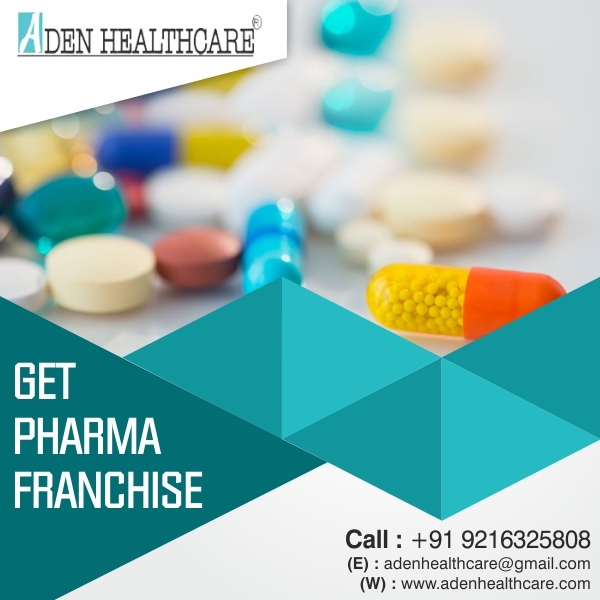 To grab the franchise opportunities you can contact us at +91-9216325808 or drop us an email at adenhealthcare@gmail.com. We, Aden Healthcare are happy to assist you. Chhattisgarh’s changing profile, from a backward to a developing state, also has a negative impact on people ‘s lifestyles and health, as almost 10.25 lakh people in the state suffer from chronic diseases such as diabetes, hypertension, asthma, and arthritis. As per a report, in Chhattisgarh, more than 4000 people per lakh population have symptoms of these chronic diseases, with urbanites leading over their rural counterparts. According to the report, nearly 5420 people( per lakh population) have symptoms of these lifestyle-related diseases in urban areas, compared with 3842 in rural areas. District Bilaspur, Durg, Raipur- As per a survey it was found that these major district of Chhattisgarh found the worst cases of Diabetes. Here 2009 males and 13358 females per lakh population are suffering from chronic diabetes disease. District Dhamtari and Rajnandgaon- The worst affected region because of Hypertension, nearly 2000 people per lakh population are facing the hypertension problem. District Bastar and Jashpur- Another popular place in Chhattisgarh, is facing asthma and chronic respiratory disease problems. More than 400+ per one lakh population are suffering from the arthritis problem. Therefore there is quite a heavy need for medication and healthcare centers all the districts of Chhattisgarh. Join the Aden Healthcare mission of improving the tomorrow of Chhattisgarh, and make yourself count in one of the Top Pharma PCD Franchise in Chattisgarh. We supply the high-quality formulations verified by DCGI and the FDA. Aden Healthcare has a good transport network and is therefore supplied with all products. We supply products produced in the certified manufacturing unit. Our plant is certified WHO and GMP. The company provides all its products with the best quality packaging to provide them with a long shelf life. Chhattisgarh offers amazing natural beauty combined with rich history, amazing waterfall, natural caves, and mountain ranges. The ranges of Vindhyachal and Satpura have many beautiful waterfalls and cave sculptures. We, Aden Healthcare is offering Pharma Franchise for the Cities of Chhattisgarh at the most reasonable and affordable price range. Durg, Koriya, Mahasamund, Dantewada, Raipur, Bilaspur, Bastar, Jashpur, Dhamtari, Janjgir-Champa, Kanker, Kawardha, Korba, Raigarh, Rajnandgaon, Surguja. We are providing a wide range of medication for the Chhattisgarh people for with monopoly based pharma franchise.